In “Toothbrush People,” Don Gogniat and Valerie White hope to reinforce the long-term impact and importance of international travel and education through the first-person accounts of students participating in the Semester At Sea program. Amy DeVillez poses with a child at a Cambodian orphanage in spring 2010. Almost all of the stories in this book are real-life encounters students have had with strangers in other countries and cultures. In most cases, how they have internalized the interaction and why it is important to them is described in the narrative. How they have remembered the person and the interaction over time is a compelling component of the second portion of the book, where years after their first meeting, the students share their memories. Toothbrush People is an inspirational read that makes the world seem like a smaller place. By putting a face and a story to far away lands, it personalizes it in a way that draws you in. I recommend this to anyone going on an international voyage or a mission trip. It will help you remember to keep your eyes open and be prepared to be moved when you least expect it. I remember hearing Don Gogniat challenge students on a Semester at Sea voyage to distill their hundreds of experiences from around the world to one memorable person, one face, and to think of that person when they brushed their teeth in the future. This was to be their “toothbrush person.” The room became quiet as private thoughts brought forward moving memories of individuals, each with a story. It is a privilege to read some of these stories in Gogniat’s book. The entries allow the reader to travel with young global explorers as they experience other cultures on the most personal level. 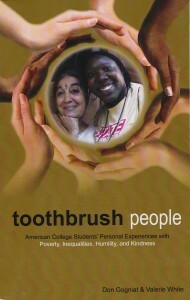 The book was a joy to read and it reminded me of my own “toothbrush person” – a teacher from Cambodia. 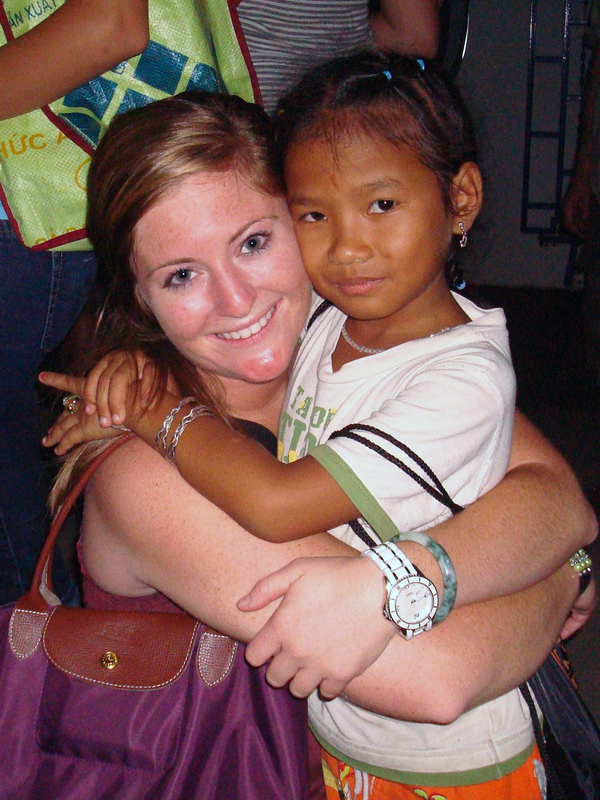 this a very eye-opening look into international travel as experienced through the eyes of college students. 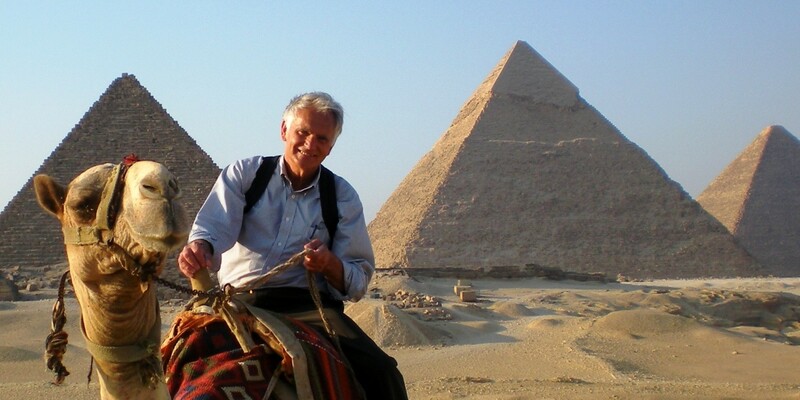 it’s not all fun and games – it’s hard work becoming open to new experiences, new cultures, changing the way you think. all proceeds go to student scholarships for the semester at sea program. how can you go wrong?